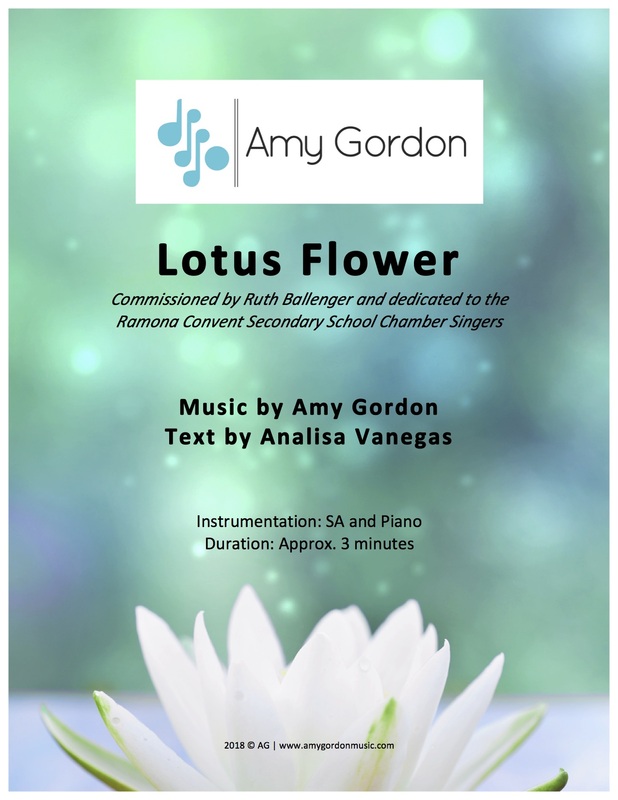 My brand-new piece Lotus Flower for SA and Piano, commissioned by Ruth Ballenger, is receiving its world premiere next Thursday April 26th by the Ramona Convent Secondary School Chamber Singers. This piece was particularly exciting for me to compose because it sets the anthemic text by Analisa Vanegas (’18), who is an RCSS graduating senior this year. It has been inspiring to work with the poet, the singers, and Ruth Ballenger as they bring this new piece to life. The piece involves some new techniques for me, including body percussion. Be on the lookout for a new recording and score very soon!